Hi, I'm trying to play Zeonic Front, but I'm encountering trouble that makes the game play less enjoyable and almost impossible in some instances. The ISO of the game I am using is not downloaded, but one I made myself from my own copy of this game. As such, it is an entirely different copy from the one used by the other person in the other Zeonic Front trouble thread I linked above. It could be that limitations of the PC myself (and the other person from the thread Linked above) are the reason for these problems, but I'm not convinced that is the case. Has anyone else successfully played this game on the PCSX2 emulator without the same problems? Can anyone who perhaps has not tried it see if they experience the same issues? I have tried a little troubleshooting on my own, and while I would appreciate some suggestions, at the same time, I would rather hear from others who have either solved this problem, or experienced a similar issue on a different game. It would also interest me to know if anyone has played this game on PCSX2 without any of these issues. Thank you in advance, if it helps at all I'll post the specs of the PC I'm attempting to play this game on below. Using PCSX2 version 1.4.0 // Default Settings. Right, sorry I should have included that in my original post. I was having the exact same problem. Stumbled onto your thread and found the solution. 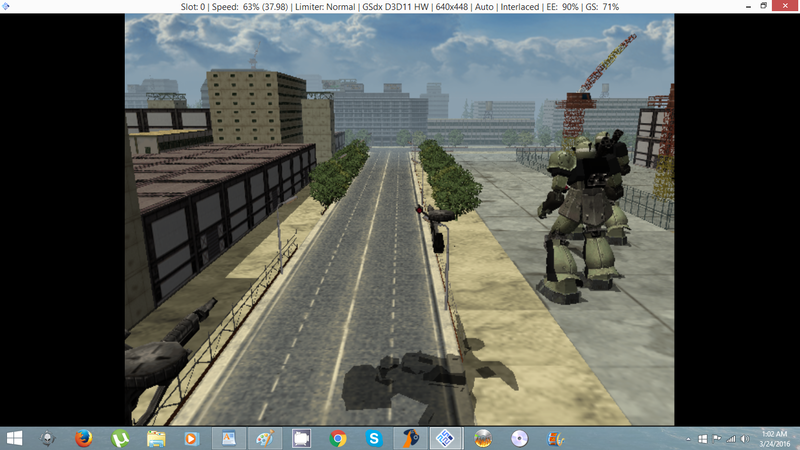 I switched from Hardware rendering to the software rendering and my Zaku appeared. 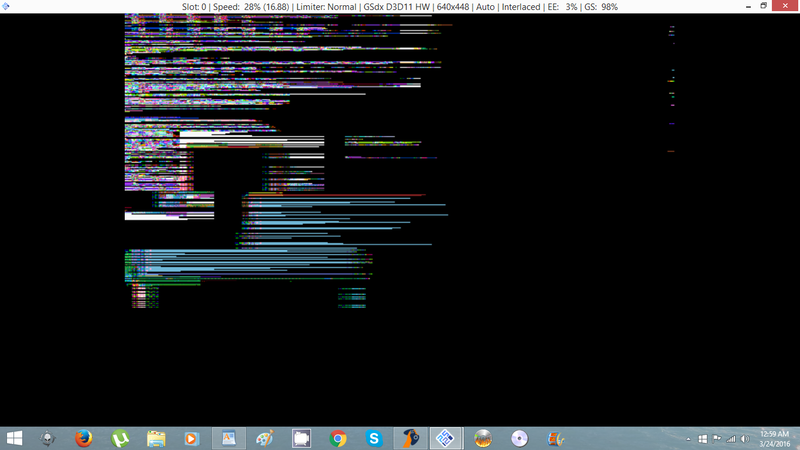 It also fixed the loading screen glitching as well. (03-25-2016, 10:02 PM)RX178MK2 Wrote: I was having the exact same problem. Stumbled onto your thread and found the solution. RX178MK2, thank you! I haven't had a chance to try this yet but it's something that I haven't tried and if you had the same problem, I am willing to bet this would probably straighten out the issue for me as well. I actually registered just to post this thread so I appreciate you registering just to answer it for me. From one Gundam fan to another I am grateful for the help. Hope you see this. [email protected] Send me an email or something if you like. My Mobile Suit circle is too small as it is. Dunno if you're still trying to get it to run but I just successfully managed to do it by switching my renderer to Direct3D9 (software), restarting the entire emulator, and then using the full boot selection instead of fast. Hope it works out for you too.